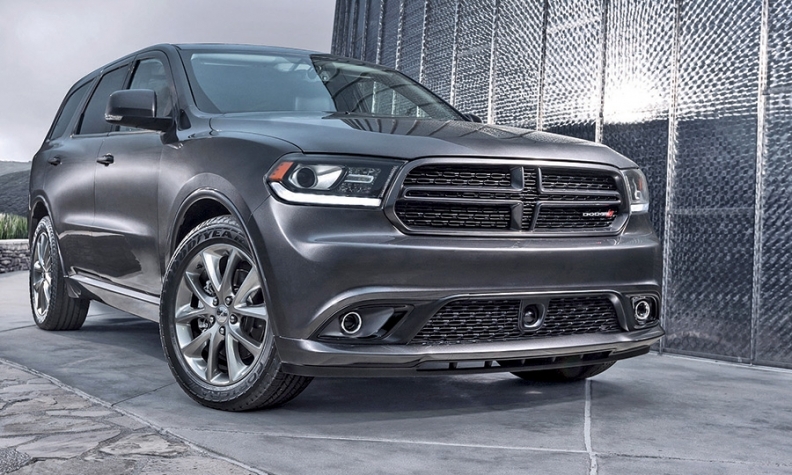 The re-engineered Dodge Durango goes on sale this fall. Dodge is more notable for what it has lost -- and what it will lose in the next few years -- than for what it has gained. Dodge lost the Ram pickup and its rugged identity in 2009. It will lose two family haulers, the Grand Caravan and Journey, in coming years. Now the brand is trying to rebuild its identity with moderately priced performance. The lineup will stand pat until 2015, when a replacement for the Grand Caravan, probably a crossover, arrives. Two Fiat-produced nameplates that were to arrive in 2013 have been dropped. The Avenger name is likely to be reborn in 2016 after production of the current car ends in January. Next year the Charger and Challenger will be freshened. Two higher performance engines, a 6.2-liter V-8, code-named Hellcat, and a reworked turbocharged 2.0-liter in-line four-cylinder engine, with the code-name Hurricane, are under development for use in future models. The brand will celebrate its 100th anniversary in 2014, and will do several limited-edition anniversary models of its vehicles to mark the occasion. Avenger: Production of the current Avenger will end in January. A redesigned rear-wheel-drive Aven-ger is expected in 2016. 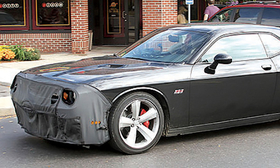 Spy shot shows Challenger in testing. Interior changes will include new seats and door panels and an 8.4-inch touch screen with backup camera. A 6.2-liter supercharged engine will be offered in a special premium Hellcat edition of the SRT. A redesign has been delayed until 2017. Charger: A freshened Charger will launch in the fall of 2014 and will feature new front and rear fascias, upgraded interior electronics and other enhancements. Hemi-powered Chargers will be getting an eight-speed automatic transmission. A redesign has been delayed until 2017. Dart: The Dart will finally get its overdue nine-speed automatic transmission in 2015, when increasing transmission production capacity allows. Dodge is also expanding the use of the 2.4-liter Tigershark engine. The 2014 Dart SXT, Limited and GT models will come standard with the 2.4-liter Tigershark MultiAir2 inline-four engine. Durango: The re-engineered Durango goes on sale this fall with an eight-speed automatic transmission and Chrysler's latest interior electronics. These are likely to be the last upgrades for the Durango, which will be replaced in 2015 by a large Jeep SUV, the Grand Wagoneer. Grand Caravan replacement: The Grand Caravan name could live on in Canada as a rebadged Chrysler Town & Country when the redesigned minivan debuts in 2015. In place of the Grand Caravan in the United States, expect Dodge to offer in 2015 a shorter-wheelbase crossover with three rows of seats. Journey: The Journey will be dropped in 2015 and replaced by a Chrysler crossover. Production will move from Mexico to the United States.